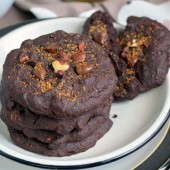 A Dash of Compassion » Dark chocolate, sweet potato & black bean brownies from YumUniverse + a giveaway! Do you like stuff that is awesome? Do you especially like the people who create stuff that is awesome? Good, because I do, too. 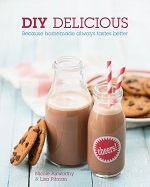 And today I’m sharing a new awesome thing in the form of a book by the ever-talented Heather Crosby of YumUniverse.com. I recently got a sneak peak of her brand new book, YumUniverse: Infinite Possibilities for a Gluten-Free, Plant-Powerful, Whole Food Lifestyle, to be released on October 28th, and I have to tell you: I was blown away. See, the thing about this book is that it’s so much more than just a cookbook. Just like Heather’s website, this book is beautiful and well organized, and contains tons of gorgeous photos. Plus, the amount of info that is jam-packed in its pages is truly incredible. And guess what? 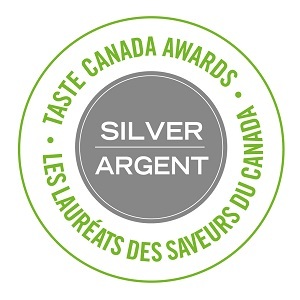 Heather did it all, from the writing and recipe development to the design and photography. I told you she’s talented! I am honoured to be part of her #YUHealthyHalloween blog tour today, sharing a recipe from the book and generous giveaway with you. Whether you’re transitioning to a plant-based diet or you just want some ideas for how to prepare scrumptious veggie dishes and add them into your existing routine, this book is one you might want to consider. 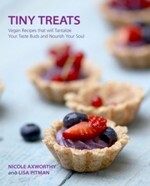 More than half of the book includes essential, everyday know-how for people seeking to adopt and maintain this kind of lifestyle (what Heather calls the YU approach), including sections on nutrition basics, organizing your kitchen, healthy cookware, food shopping and storage, and how to handle social situations and prep for this lifestyle emotionally. Once you’ve learned the why and how of this lifestyle, it’s time to eat! 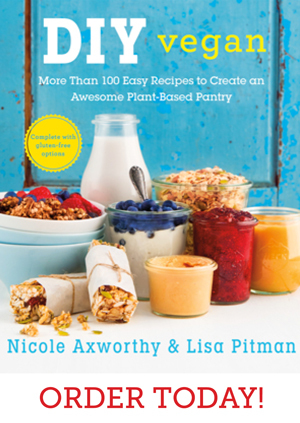 The last half of the book includes a creative collection of more than 150 amazing recipes developed by Heather—all with no meat, dairy, gluten or soy. The great thing about Heather’s recipes is that they are inventive but also totally approachable. Think quinoa “cinnamon toast” cereal with toasted pecans, chickpea flatbread pizzas, beet and eggplant crisps, and creamy brocolli and red pepper macaroni. I noticed she uses honey in some of her recipes but I would swap that out for agave or my new favourite Bee Free Honee. 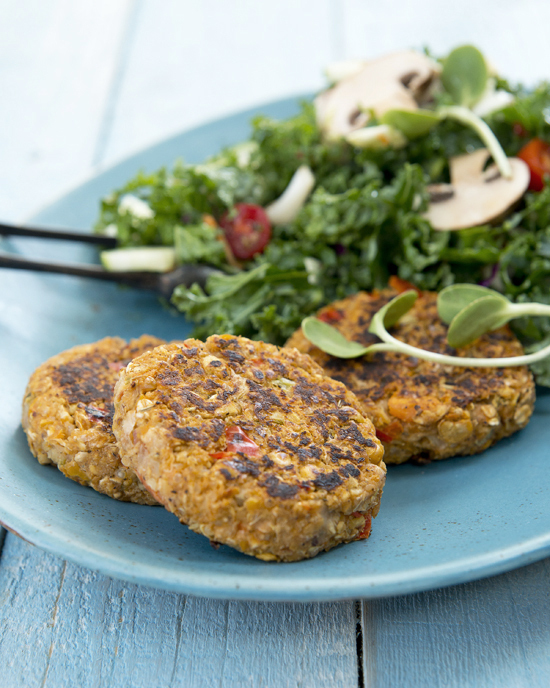 The chickpea protein burgers, which are full of good stuff like chickpeas, quinoa, sweet potato, oats and red pepper, and flavoured with Heather’s own Montreal veggie seasoning (recipe also in the book) and a generous dash of liquid smoke. 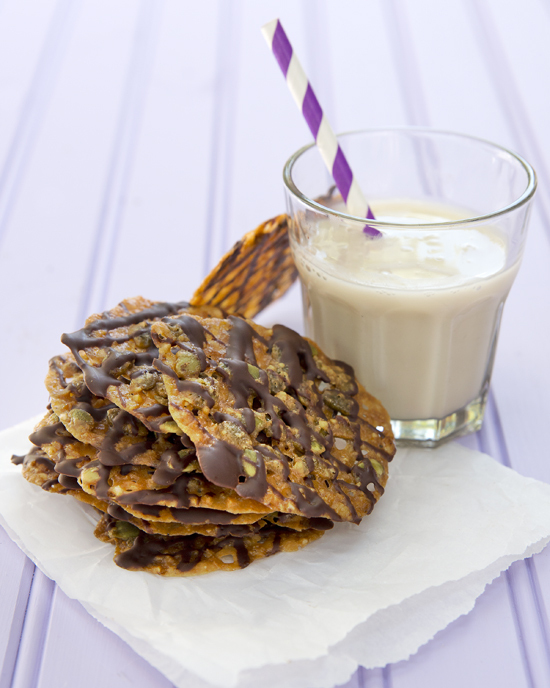 The toasted pecan florentines, which are truly the easiest cookie recipe I’ve ever made, because they require very few ingredients and take even less time to make, but they taste like fancy French cookies that took all day to prepare. 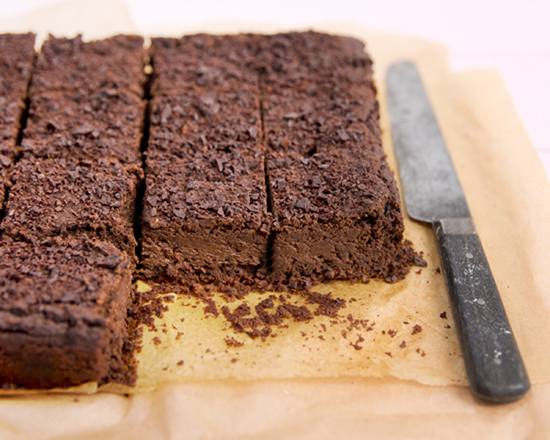 And these dark chocolate, sweet potato and black bean brownies, OMG. This October-friendly, Halloween-worthy recipe sneaks in nutrient-rich ingredients like black beans and sweet potatoes and is combined with dark chocolate to create bona fide fudge-like decadence. I loved them so much I got permission to share the recipe with you! Preheat oven to 325°F and grease a 9" x 13" or 9" x 9" baking dish or line it with parchment paper. Sift or whisk together all dry ingredients in a large glass bowl. Set aside. Place all wet ingredients into the food processor and pulse until super-smooth. Fold together wet and dry ingredients and transfer to the parchment-lined baking dish. Bake for 60 – 70 minutes. Remove from oven and allow to cool in baking pan before serving. Recipe from YumUniverse, republished with permission from BenBella Books. Since it’s almost Halloween, I’ve got one more treat for you. 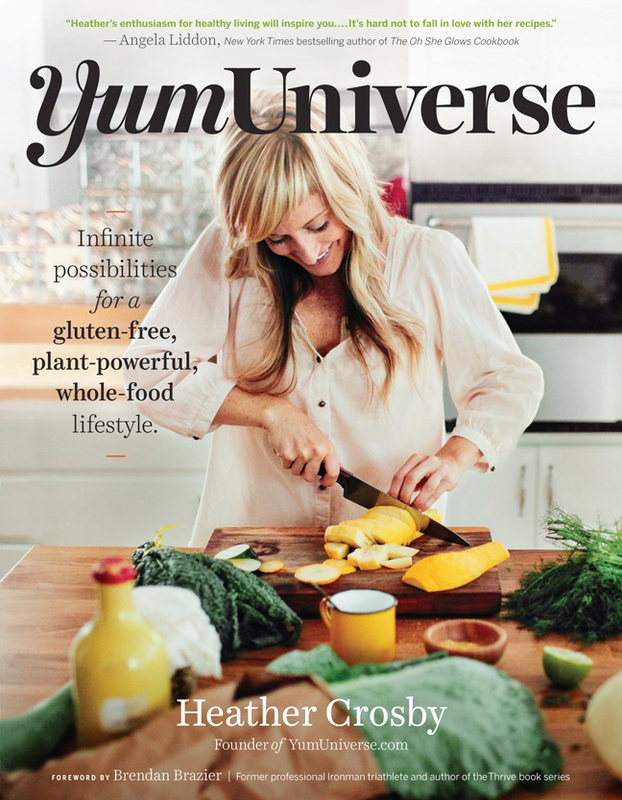 Heather’s publisher, BenBella Books, has kindly offered to give away a copy of YumUniverse to one lucky ADC reader! Use the Rafflecopter widget below to enter. A random winner will be selected on October 23, 2014. The giveaway is open to Canadian and US residents only. Good luck! Gorgeous photos, Nicole! Thanks again for sharing. Hmm…when it comes to Halloween, I love getting Sweet n Sara marshmallow treats! I think they are a healthier choice than some candy bars and they are perfectly portioned and oh so cute for the holiday!! Hmm, healthy halloween treats, is there such a thing? :) but I do love popcorn or perhaps home-made caramels! Thanks for the giveaway, beautiful book. 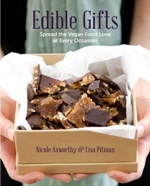 I love raw energy balls filled with dates, cacao and nuts — sweet, satisfying and nutritious! I can’t wait to try this brownie recipe. It looks like a great grownup Halloween treat! 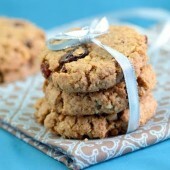 Pumpkin raisin cookies– healthy, vegan ones — would be my favorite Halloween treat. My favorite Halloween treat is a Tootsie Roll. 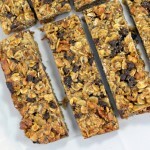 We love the healthy almond joy bars on my site. Thanks! The photos are awesome. I definitely want to try those brownies! Not exactly healthy, but I love caramel apples. Pumpkin bread. I love the recipe on Ohs She Glows. My dad always used to give away toothbrushes and quarters for Halloween! 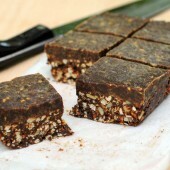 I love raw bliss balls – dates, nuts, cacao and coconut! Gluten-free cupcakes decorated for Halloween! Those look so yummy. Three of my favourite things are chocolate, sweet potatoes and black beans. How could you possibly miss? Thanks for the giveaway! My favourite healthy Halloween treat is sweet and salty popcorn! Ahhh! A GF, plant-based cookbook? This starving college student NEEDS this!!! My favorite healthy Halloween treat….not much of a treat, but roasted acorn/butternut squash. The caramelization makes it taste like candy to me! And if it HAS to be dessert of some sort, I love candied pecans! Or even just plain pecans. I love the earthy flavors of fall; it can’t be beat. My memories of potatoes baked in foil in the Halloween bonfires of my childhood are the best. I just made this- they are awesome! How should you store left overs? Refrigerate? I’m so glad you’re enjoying them! Yep, the fridge is probably the best place for them. 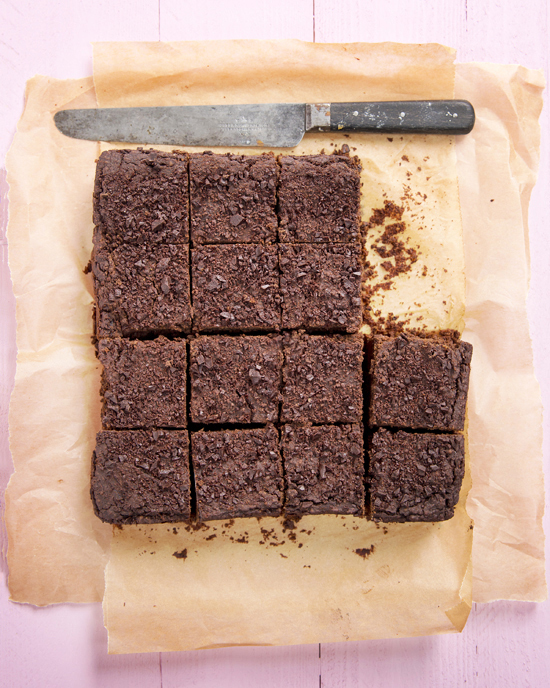 I’m super keen to try this brownie recipe! Any suggestions for a wet or dry substitute for Sucanat? If you can get your hands on coconut sugar, that would work. Otherwise, a raw, unrefined cane sugar would likely work fine too. Hope you like them as much as I do!